I’m Sorry – It’s Gone! Get on my priority list to be notified when the Birthday Cake Shake (and other seasonal flavors) are for sale again. Imagine a sweet, vanilla drink with flavorful hints of birthday cake. 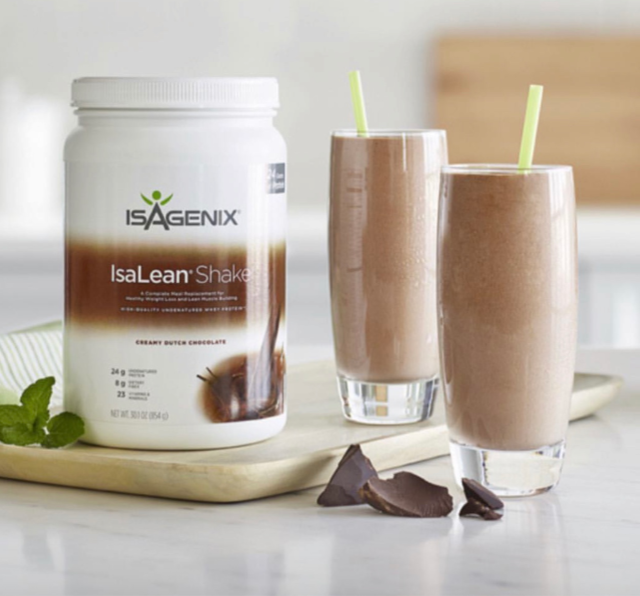 The Isagenix Birthday Cake IsaLean Shake will take you back to your favorite birthday party with flavors of fluffy vanilla cake and tasty natural sprinkles. Close your eyes and you will feel like you’re cheating, except this treat is packed with protein, has much less sugar, and delivers the nutrients your body craves. For a limited time, buy the Isagenix Birthday Cake Shake before it’s sold out. Unlike a piece of birthday cake, this protein shake delivers protein to help you build muscle and break through weight loss plateaus, features the nutrients your body needs to meet your health and wellness goals — without the crash you normally get when you give in to your cravings. How Much Do The Birthday Shakes Cost? The birthday cake protein shakes cost the same as the regular Isalean shakes. You can order them retail, as a customer, or preferred customer. Not just a protein shake, the Birthday Cake Shake is a meal replacement. It’s a balanced blend of carbohydrates, good fats, vitamins, and minerals that can be used to assist in healthy weight management and muscle maintenance. It can also help satisfy hunger, provide energy, and maximize benefits from whey protein. *A premium protein blend with a superior branched-chain amino acid (BCAA) profile. The sprinkles used in the Limited Edition Birthday Cake IsaLean Shake are made with colors from natural ingredients like purple sweet potatoes, spirulina, and red radishes! Who Can Drink This Protein Shake? This shake is perfect for athletes, to break a weight loss plateau, to change up your shake flavor, or when you need to up your protein intake. It will also work great as part of the 30 Day Cleansing System. All the Isagenix shakes are the highest quality whey concentrate that comes from cows that are milked according to season and have not been treated with hormones or routine antibiotics. Although the whey is not labeled “organic” it is tested to be free of chemicals, toxins, or GMOs. Isalean Shakes are especially great for anyone just trying meal replacement shakes for the first time. 24 grams of protein in a delicious meal replacement shake. Text me at 214-533-0328 or email me at stacy@alesstoxiclife.com if you have any questions. If you can’t decide which shake is right for you, just ask. Be sure to ask me for my daily specials and coupon codes.